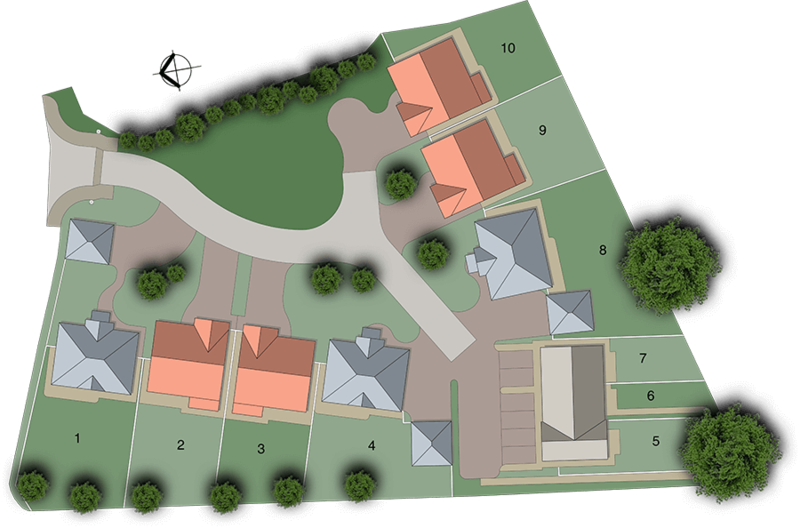 Our exclusive new development at The Paddock offers a rare opportunity to choose from a stylish collection of just seven executive 5-bedroom detached new homes together with three affordable 3-bedroom shared ownership mews properties in the picturesque hamlet of Milton Green near Tattenhall. Each property has been thoughtfully designed to offer characterful architecture with a perfect blend of contemporary interiors, superior specification and open-plan living spaces for timeless family homes to suit your lifestyle. 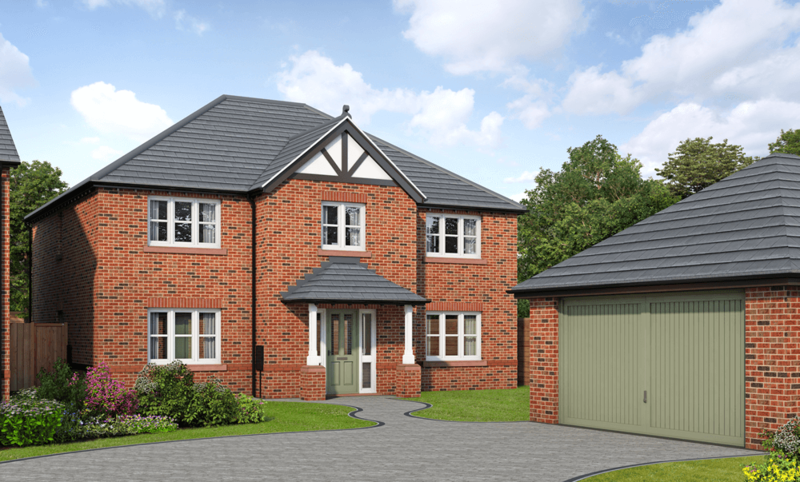 The Ripley is a spacious 5-bedroom detached executive home, with an extensive open-plan kitchen, dining and family area with two sets of bi-folding doors opening onto the turfed rear garden. 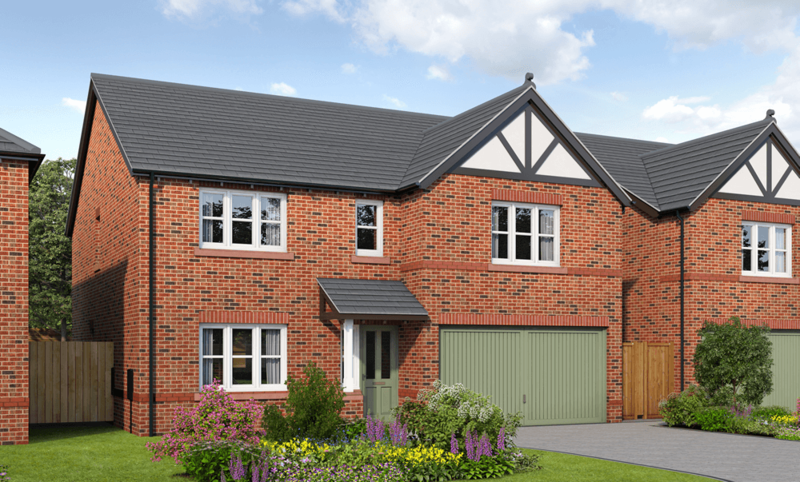 The Richmond is a spacious 5-bedroom detached executive home, with an extensive open-plan kitchen, dining and family area with bi-folding doors opening onto the turfed rear garden. The Ascot is a thoughtfully-designed 3-bedroom mews home, with a large open-plan living and dining area opening delightfully through french doors onto the private rear garden. 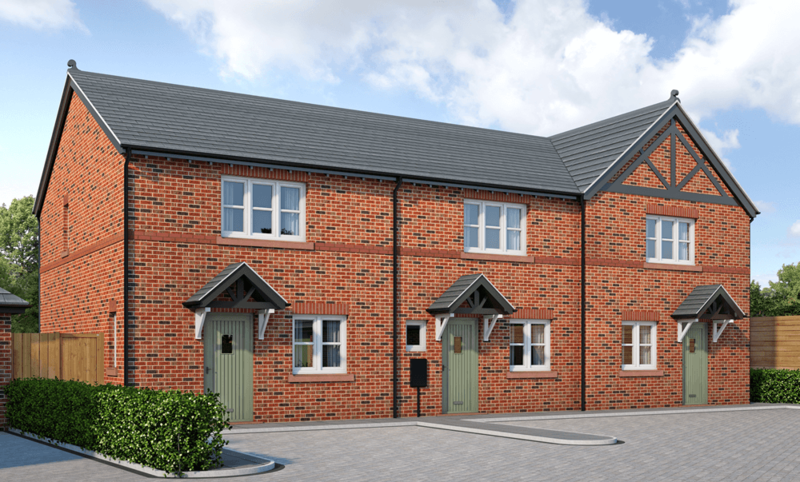 The Durham is a thoughtfully-designed 3-bedroom mews home, with a large open-plan living and dining area opening delightfully through french doors onto the private rear garden. Unlock the luxury of a spacious 5 bedroom detached executive home with an abundant open-plan kitchen. Make this 5-bedroom detached executive home yours and enjoy the spacious dining and family area. Choose this one-off design 3-bedroom mews home and enjoy the large open-plan living and dining area. Enjoy a thoughtfully-designed 3-bedroom mews home with a large open-plan living and dining area. Embrace a delightful rural atmosphere surrounded by the rolling Cheshire countryside whilst still enjoying all the modern day amenities and local attractions close at hand. The leafy lanes and quiet open spaces inspire a relaxed and friendly community in Milton Green. A gentle walk leads to Tattenhall’s boutique village and a short 8 mile drive opens up the thriving city of Chester, for the very best of both worlds. Parents and children at The Paddock have easy access to a privileged choice of schools for all ages. Tattenhall Park Primary School and Christleton High school are the nearest state schools and have both achieved an ‘Outstanding’ rating from Ofsted. Alternatively, you could invest in the independent teaching of Abbey Gate School for infant education through to sixth form studies. For families preferring a Church of England setting, both Saighton Primary School and The Bishop’s Blue Coat High School have earned a ‘Good’ Ofsted rating. With such promising educational prospects close-by, you can rest assured that you’ve made a lasting investment in your family’s future at The Paddock. The M53, M56 and M6 are all within easy travelling distance for visiting or commuting to Chester, Manchester, Warrington, Liverpool and Stoke on Trent. If travelling by train, Nantwich is the nearest station and has direct routes to Crewe and Shrewsbury for connections to Manchester, Liverpool and Birmingham. There is also a network of local bus services and, for international destinations, Manchester Airport is 45 minutes away by car. The Earl of Chester restaurant offers diners wonderful views across Crabwall Manor in Mollington, whilst Simon Radley at The Chester Grosvenor seduces guests with a more modern dining experience as it serves up Michelin Star dishes. For a new dining experience look no further than Twenty2 at Edgar House, an award-wining boutique that combines a beautiful location with outstanding food and service. Steak lovers should try the fabulously fresh local aged beef steaks at 59 At The Hollies, a brilliant extension to the award-winning Hollies Farm Shop in Tarporley. Tattenhall’s atmospheric Pheasant Inn boasts a AA Rosette for its rich local menu, or if it’s a more relaxed pub meal and a quiet drink you’re looking for, Carriages Country Pub or The Bear can both oblige. The Paddock is perfectly placed to satisfy your leisure interests, whatever your passion. With an abundance of natural beauty on your doorstep it’s the ideal setting in which to enjoy local walks and bike rides. Further afield there are a variety of impressive castles and beauty spots to discover. The large village of Tarporley hosts a regular country market each month just 8 miles away, or you can head a little further to the medieval market town of Nantwich to soak up the atmosphere of its famous timbered buildings, bijoux boutiques and antiques shops.